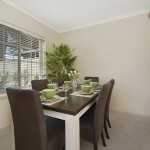 Acacia Park Villages is set across five closely-situated villages in Brooklyn Park, Lockleys and Underdale. Close to the beach, city, airport, shopping and public transport, these villages offer the perfect combination of community atmosphere, privacy and independence. 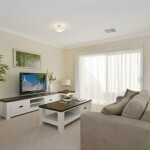 Acacia Park comprises a range of well-appointed villas and apartments with a choice of 2 and 3 bedrooms. The various styles and designs of homes on offer are efficient and functional whilst exuding character and charm. 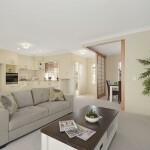 The homes all offer a range of layouts designed to provide a friendly-living environment. Acacia on Henley is an intimate ‘boutique-style’ village and consists of only nine homes. It is the perfect place for those looking for a private independent-living environment with the benefit of having access to the shared facilities across the other Acacia villages and taking part in all the social events they have to offer. Acacia on Constance is the most established of the Acacia Park villages and has a large community centre and outside entertaining area. Acacia on Lipsett features an indoor swimming pool and spa, and large community centre in the form of an old majestic church. The spectacular church has been newly renovated and is ready to host various community gatherings. Acacia on Marshall is closely situated to Acacia on Lipsett and is within walking distance to all its amazing facilities. This is a more intimate village offering peace and privacy. It will also expand in the very near future with a range of apartments. Our newest village, Acacia on Holbrooks has just been completed and is selling fast! Stage one consists of nine two-bedroom villas, seven three-bedroom villas and a shared community centre. Facilities in each village vary and residents are welcome to use any of the shared facilities across all Acacia Park Village locations.